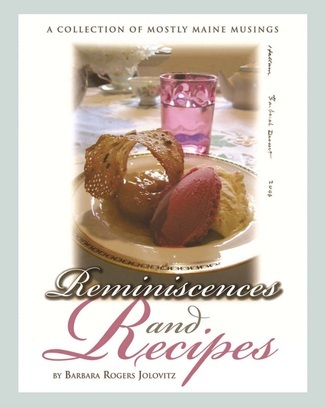 Reminiscences and Recipes is a collection about mostly Maine people and recipes relevant to some of the stories. There are stories of the famous such as artist Louise Nevelson and how her career paved the way for women artists; the known such as Harold Alfond and his gift to start the Alfond Youth Center in Waterville which is the only combined Boys & Girls Club and YMCA in the country; the unknown such as Constance McCatherine and Martin Silver and their gift to New York University to establish the Silver School of Social Work. 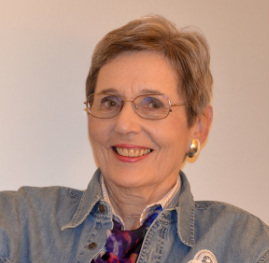 The cover of the book, Barbara's Dessert, is a photograph by Beverly Hallam. The story about Beverly is about her art and the Surf Point Foundation she and Mary-Leigh Smart established to ultimately provide for an artists' colony on their land in York. Travel stories include historic information. Some wacky anecdotes such as Jacking Worms and YumYum are included as well. The recipes range from Down East Fish Chowder made with a cheese sauce, Tarte au Citron, a lemon-filled tarte baked in a buttery French pie crust, to Koulourakia, traditional Greek cookies covered with sesame seeds. All can be made from readily available ingredients. A career in catering is highlighted as well as adult education cooking classes and food demonstrations in gourmet shops.